While it’s always important to consult a tax professional if you need help with your best interest in your personal finances, as they are your nest egg that you’re trying to build up, there are certain points that you certainly can take part in yourself. Freeing up extra money by dumping unnecessary expenses such as my adt is a great way to put extra money towards more important aspects of your finances such as building an emergency fund in case of unexpected charges, not to mention saving for retirement so you can have plenty for when you finally do walk away from work. If you think about how long it’s been since you have been in your current job, or even more, how long it’s been since you have been out of school, it could give yourself a shock at how fast time has gone by, and even scarier is that you are that much closer to retirement than you were in your youth, so instead of waiting any longer, now is the time to really put your 401k contributions to use and really save up so you have enough income not only to live off, but to continue to enjoy like when you no longer have to go to work. Speaking of work, while you are still employed, now is the time to advantage of a work 401k plan, and more importantly any company-matching contributions that they may offer, to really give your retirement savings a boost. Say you make $60,000 a year and your company offer matching contributions of 5%, you would be contributing $3,000 per year, as well as your company, now getting $6,000 to grow each year and 10% of contributions, which will grow into a nice nest egg, provided you can still increase when you can. By increasing a percent, a year, it still adds more to your retirement without feeling too much of a burden. With the new tax reform going into place, the contributions were increased to the max of $18,500 if you’re under 50, while $24,500 per year over 50. Those are quite the sums of money you are able to contribute a year, a large part of your salary, especially over 50, so that makes it all more important than ever to contribute as early, and as often as possible. 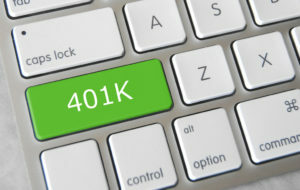 Depending on your age and how aggressive you’d like to invest there are plenty of options you can use to invest in 401k, being able to shift around as you or a financial planner see fit, not to mention putting into an age-based investment that will adjust as you get closer to retirement which you can use to adjust risk. However, you do invest, if you can automate your contributions to have them taken out of each paycheck it will limit yourself from being able to manually use that money for something else, instead of putting towards later in life when you will really need it.